“Instead of busy doctor office prenatal care, it felt more like tea with friends. I was relaxed and still getting exceptional prenatal care in a comfortable environment. When my blood pressure started rising, they did all the right things, even made house calls, and eventually referred me to an MD once my care became a bit too medical. My "plan" for home birth was set aside, but the midwives were still there, even at my resultant C section, taking care of me and my new family! “I would recommend Carrie and Heather to anyone looking for amazing and personable midwives. Heather was on maternity leave when I had my baby so I worked with Carrie and I LOVE her!! I can't say enough amazing things about her. I transferred to Fern Creek about 35 weeks because that's when I finally decided to have a home birth. I had my baby at 36w6d and I felt soooooo comfortable with Carrie from the moment we sat down for our 'introduction interview'. She was always so supportive. Especially with my struggles with breast feeding and our ultimate decision to formula feed. I was able to meet Heather a few weeks having my baby and she is super sweet as well and I felt like I was able to connect with her very quickly as well. "We are so incredibly thankful for these two lovely ladies who have walked beside us through the pregnancies and births of our two boys. I think the memories that stand out to me the most from our prenatal appointments is all the laughter that happened in the office. Normally medically related appts make me nervous, but I always looked forward to seeing Heather and Carrie. They are very thorough in their care and I always received answers to all of my questions. When I was way overdue with my first son, they followed protocol, but they also let my sweet baby boy come when he was ready. When I was way overdue with my second sweet baby boy, they helped to encourage this very discouraged mama to wait patiently for him to come when he was ready too! They were right there beside me during both labors working to help me relax and encouraging my husband as he was learning how to help me as well. When I hit my wall of "I can't do this anymore!" They looked me in the eye and told me that I could do it and the next thing I knew I was holding my little son. Both pregnancies and both labors were very different, but these two ladies were encouraging and knowledgable and a great help for both. So thankful to call them my friends as well as my midwives." "I had never experienced a home birth before. It was so beautiful seeing my daughter being coached so calmly through every step. Even when it got to the point where she might have felt like losing it, the midwives were remarkable in their ability to soothingly guide her in her low tones and open mouth noises. It was the most calm and beautiful experience I've ever had. Fern Creek midwives really know how to do things right - and my daughter - she gets a lot of credit for following their direction. It was truly beautiful!" Laurel Ewing, on the birth of her granddaughter. "Fern Creek Midwifery provides excellent prenatal care in a comfortable and peaceful environment. The ladies are so inviting and accommodating, and always reliable. With three midwives available, there is always someone who is able to answer your questions, address your concerns, and most importantly, attend your birth! I had a very peaceful water birth in their beautiful office in February of 2013. Heather and Carrie attended and were more wonderful than I could have ever anticipated. Due to my little boy being in the posterior position, I experienced back labor that was quite intense. They assisted by use of counter-pressure and water papules (which unfortunately did not have the pain relief I had hoped for, but that is not uncommon [generally helps with 3 out of 4 women experiencing back labor]). They also guided me through my labor with suggestions of when to try the birthing ball, when to try laboring in the warm and comfortable birth tub, and when to try walking around. I felt completely safe, comfortable, and peaceful with Fern Creek attending my birth. They were as hands off as could be, checking dilation only when I requested, and allowing my baby's father to 'catch' him as he was born (in the caul no less!). Birthing plans do not always go as we would like them to, but thanks to knowledge and passion of the ladies with Fern Creek Midwives, as well as a wonderful boyfriend/coach, the birth of my son exceeded my every expectation. If you are pregnant and looking for care, schedule a consult/meet and greet -- you will not regret it for a second! He was a big help during clean up! "Where to start.... My experience with Fern Creek Midwives was amazing! Everything about it from the prenatal appointments to the birth to the postpartum care was absolutely amazing and everything I could ask for. They are loving, caring, friendly, warmhearted women! You gain more then just care providers, you gain new friends. When its over you find yourself wishing there were more appointments to come just so you can see them. They listen to your wants, needs and concerns. They come to your home after birth to check on you and baby so you don't have to worry about packing up baby to go to their office. Their office always smells wonderful and it is a cozy and warm environment. They have a lovely little library full of information about birth options, baby care, vaccinations, and more that you can check out. They also offer free pregnancy tests and welcome you to come back after your last appointment for baby weight checks if you like! I highly recommend Fern Creek Midwives to all my friends and people I barely know! They are truly amazing and loving women!" Cortney Fraleigh, Read Cortney's full birth story here. "I can say nothing but great things about the women at Fern Creek Midwives. I consider them friends and would be thrilled to have them with me while birthing. Thank You for supporting our birthing choices and caring for our family with such compassion. You will forever be in our hearts and part of the family." Crystal, Dan, Ezra, Jubal, and Gideon Clark. "I met Carrie when we were kids. We were best friends, and I always knew she was destined for great things. She was always a driven and caring person. I was so excited to hear that she was going to be a midwife. We joked maybe I’d have another baby that she could deliver. And what do ya know, it happened! When we made the decision to do a homebirth with a midwife, it was a no brainer. Carrie all the way! She has a natural ability to make you feel comfortable and confident that your body can do this. That you were made to deliver your baby naturally, without unnecessary intervention, without someone else’s time schedule… Just you and your baby! The relationship you create with your midwife is priceless. I looked forward to being in charge of my birth. To try positions that felt comfortable to me, to be able to eat if I wanted, to listen to music, have my family and children present, just enjoy my labor and the miracle that was happening. But most of all; the empowerment I felt. 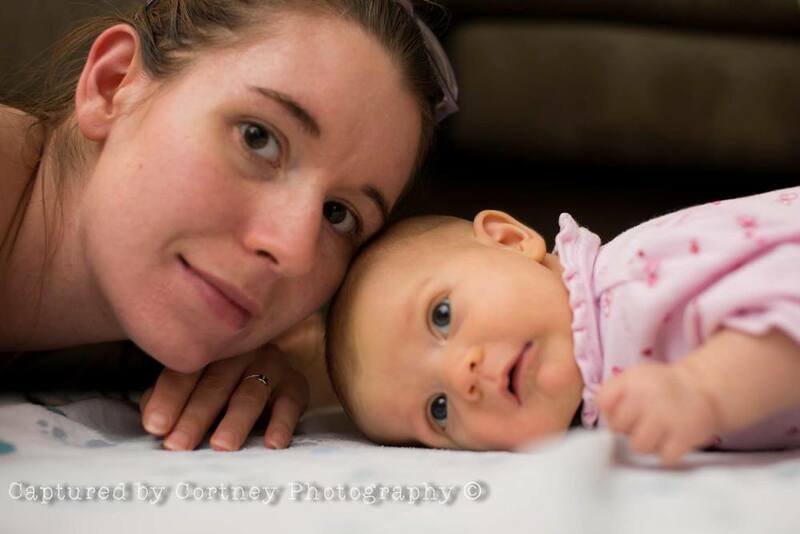 Carrie helped me succeed in delivering my baby girl at home….no inductions! I was convinced my body didn’t know how to go into labor on its own. I dilated and stopped for what seemed like weeks. I delivered my other two daughters by induction with the help of pitocin. But to actually do it on my own felt amazing!!! Thanks Care! Also, the support and comfort I felt couldn’t be matched by a doctor. I felt like I was her only client. She knew just when to give me words of encouragement and when to just sit peacefully with me. I had nothing to worry about, just the task at hand. 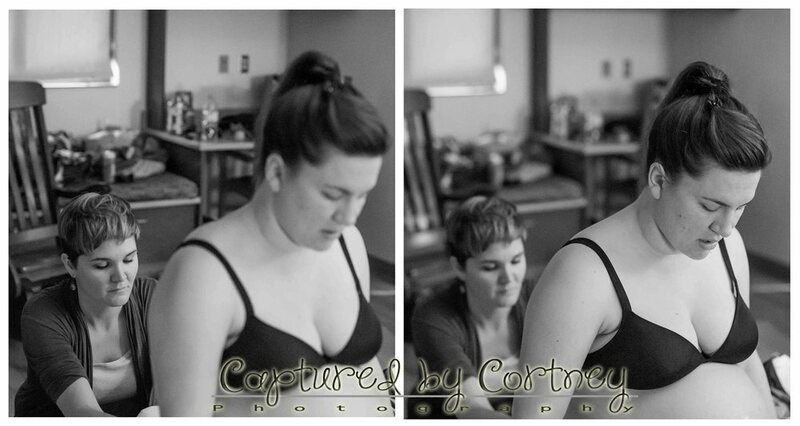 I can’t thank Carrie enough for the professionalism, knowledge and love she showed during my pregnancy and delivery.